Three brand new Regency Romance novellas by Josi S. Kilpack, Carla Kelly, and Jennifer Moore. Six Award-Winning Authors have contributed new stories to A Timeless Romance Anthology: All Regency Collection. 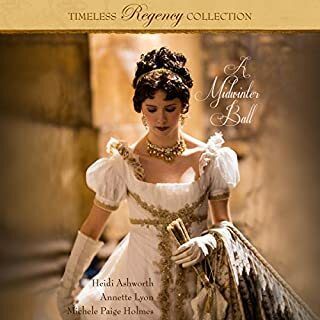 Listeners will love this collection of six regency romance novellas. 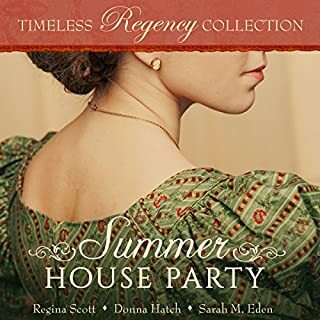 The SARAH M. EDEN BRITISH ISLES COLLECTION contains two brand new historical romance novellas A FRIEND INDEED and A HAPPY BEGINNING, as well as four hand-picked readers' and reviewers' favorites of Sarah's popular Timeless Romance Anthology novellas. 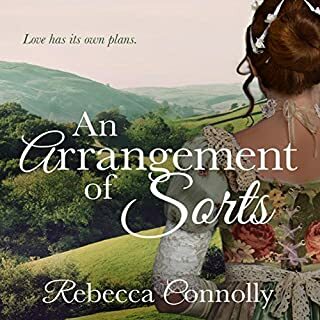 Listeners will love this selection of six historical romance novellas set in the British Isles. Six Award-Winning Authors have contributed new stories to A Timeless Romance Anthology: Mail Order Bride Collection, now a USA TODAY Bestseller! Six historical romance novellas set in the Old West. Great stories and a fantastic narrator. 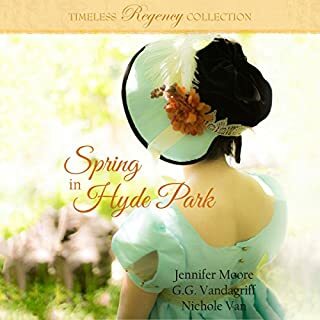 Shy and timid Lenora Wilton has spent most of her life either behind the keys of her beloved pianoforte or in the shadow of her younger sister, Cassie. But when Lenora decides to travel to Bath to live with her Aunt Gwen and teach music at an all-girls' boarding school, she begins a journey of self-discovery that leads her to a surprising romance. Lenora must decide if she is willing to risk her heart for a chance to love and be loved in return. 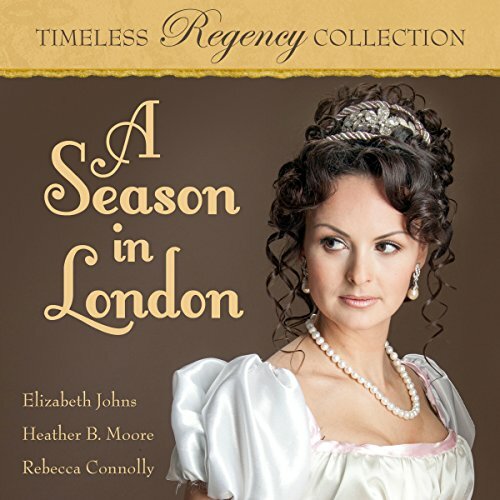 From the publisher of the USA TODAY bestselling & #1 Amazon bestselling Timeless Romance Anthology series in Clean Romance, comes A SEASON IN LONDON. As a 'poor relation,' Emma Standrich has already pre-empted her dismal Season by applying for a governess post. Her aunt and cousin are kind enough to sponsor her, but in truth, Emma is just waiting for it to all be over. Emma's grief over the death of her brother while in military service casts a pallor on everything else in her life. When Colonel Shelton, the man who was her brother's superior, asks her to dance at her first ball, Emma is more surprised than anyone. But she has questions for him, and soon she's caught up in an intrigue she wasn't expecting - both of the heart and the mind. As a second son, Edward Blackwood never anticipated becoming heir to his family estate, or the need to find a wife and secure that inheritance. But with the death of his older brother, Edward is thrust into a life he never wanted. When his mother encourages him to be kind to his long-time neighbor Emily Foster, a girl he'd hardly paid attention to while growing up, Edward realizes that returning home might not be such a set-back after all. Daphne Hutchins is no simpering female who aims for a husband with a fortune. In fact, she'd be more than happy to live her life free of the heartache that men seem to bring. So when she sets out to play the fool in front of the ton during her first Season in order to send all eligible men running, she's quite unprepared for James Woodbridge. Bored, but with a sense of family duty, James arrives for the Season, anticipating going through the expected motions befitting any gentleman. What he isn't prepared for is Daphne Hutchins and the way she completely upends his heart. ©2017 Mirror Press, LLC. (P)2017 Brilliance Publishing, Inc., all rights reserved. I enjoyed listening to all three of these stories. I especially enjoyed the third story about Daphne and Jamie which was witty. Each was a good escape and distraction. All the stories were different but fun. The beginning of each did not tell you the end- fun.